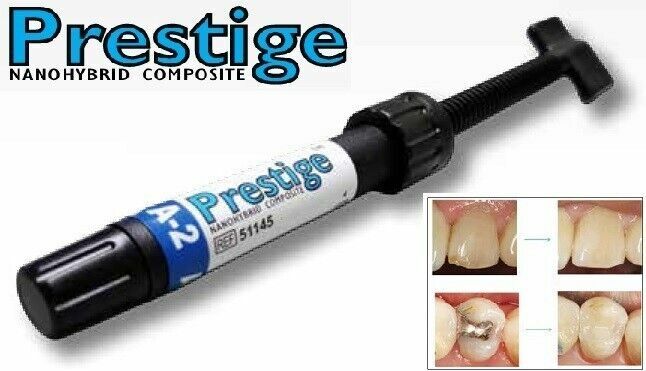 Prestige is an ideal micro hybrid composite for all cavity classes. It is easy to polish and has good wear resistance. It is very color stable and matches Vita shades. Handling qualities are superior and is not sticky so application is fast and easy.